The InstaForex brand was birthed in 2007 and curently it’s the top choice forex broker of more than 7 Million forex traders. More than a throusand clients Open Accounts with InstaForex every single day. Instaforex Nigeria's main priority is to provide the wide range of services instaforex traders within Nigeria and the rest of Africa at any stage of work from new account registration to money withdrawal. Forex Trading conditions in Instaforex is considered the best in Nigeria and among the best in the world. Forex Traders in Nigeria have full and free access to a more than 300 financial tools. MetaQuotes Software, e-Signal, Dow Jones and Reuters provide advanced information technologies and software products for InstaForex clients. 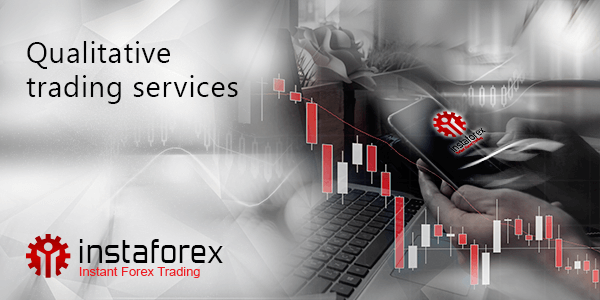 Instaforex was among the first forex brokers to allow her clients access to trading on MetaTrader 5 platform by opening an MT5 account. Instaforex Nigeria offers her clients leverage of 1:1 to 1:1000, each client can select whichever leverage best suits his/her trading system, also swaps or swap-free accounts, with spreads or commissions. Moreover, Instaforex Nigeria clients get access to special offers, bonuses and state of the art one-click trading. Instaforex regularly updates the amount of trading tools available to her clients. This means Instaforex clients were the first to work with electronic currency BitCoin.Also, Instaforex was probably the first broker to allow her clients trading access to CFDs e.g. Facebook and Twitter after their IPOs. The most important element to Instaforex Nigeria is her clients, thereby offering qualitative and effective Forex-services. Instaforex Nigeria clients are forex traders with a varying expertise in forex trading. Different services are offered by Instaforex Nigeria to each level of trader. Forex beginners or Individuals who lack the time and skill to trade on the forex market can either subscribe to forex training for beginners or they can invest in PAMM-system, which gives Instaforex Nigeria clients the opportunity to invest funds into the trading account of successful PAMM-traders, or they can subscribe to ForexCopy, which gives Instaforex Nigeria clients the opportunity to copy trades of seasoned forex traders. These are but a few of the extra services offered to clients. Instaforex Nigeria clients don't necessarily need devoted time or an in dept knowledge of the forex market before they can make profits. Instaforex has an arsenal of awards and honors accredited to her. They include but are not limited to; The Best Forex Broker in Asia by World Finance Awards many years in a row, The Most Prestigious Prizes from leading magazines, the likes of CNBC Business Magazine and EUROPEAN CEO (The Best Retail-Broker Prize). Instaforex has also been recognised on international financial ShowFX World, ShowFX Asia, CIOT EXPO, and Jordan EXPO exhibitions. Instaforex clients are not left out of her achievements. A lot of Instaforex clients have won huge prizes by participating in contests and draws. Some of the prizes won by clients and some available to be won by Instaforex clients include H3, Lotus Elise, Lotus Evora, Porsche Cayenne, BMW X6, Jaguar F-Type e.t.c. Instaforex also has a special prize for her Nigerian clients, A Tear-Rubber Hyundai Sonata. Yearly prize pool exceeds 500,000 US dollars. Our clients are truly our greatest assets. InstaForex Nigeria remains the best among Forex-Brokers in Nigeria. Instaforex clients remain confident trading the best broker, a broker that meets the highest world standards. Making trading very comfortable and very profitable remains the goal of Instaforex Nigeria.